Your college professors experience the same human emotions as all other people do. The way your teacher feels about you often affects the amount of time he/she is going to spend on explaining you some particular material and influences the recommendation, which he or she is going to write for your thesis or job application. It is very strange but only about 5% of students consider these facts. 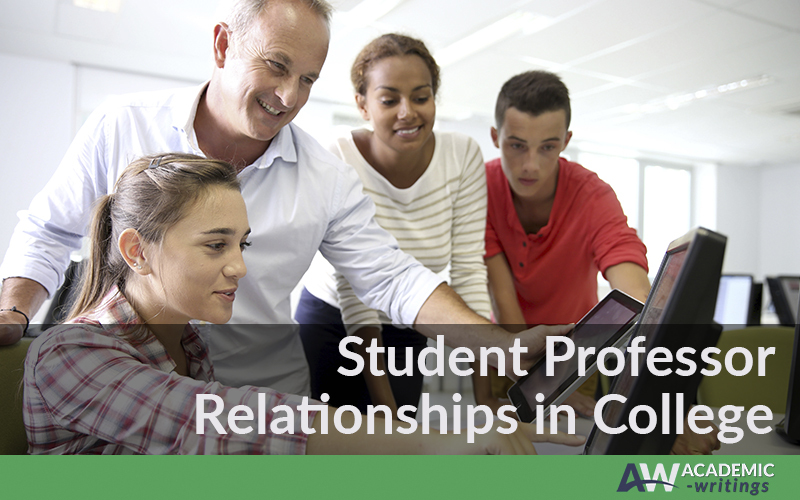 We offer you several tips on how to get along well with your college professor. If you attend your classes regularly, it helps you ensure that you do not miss anything. Besides, it has a positive effect on your relations with a teacher. Many teachers say that they do not care about the attendance; however, they always notice who is present during the classes and who is not. If you have an important reason to miss a class, make sure to get notes from your classmate. When you have the next class with this professor, tell him or her that you have taken the notes, but you also want to ensure you did not miss any important information. As a rule, first minutes of a class are used for important announcements. Many students are convinced that it is “better late than never,” but it does not work all the time. Note your teacher’s reaction when somebody else from your class is late, so that you can accordingly guide your own actions. If a professor ignores students walking in late, it does not mean that he or she is okay with it, but it is still better than missing a class. However, if the teacher’s reaction is stormy, it is advisable to miss a class rather than to make your professor angry by being late. Do not fall back on excuses for turning assignments in late. Each student has 24 hours in day just as you do. Make efforts to have your tasks ready by the deadline. Never discuss a received grade when being angry. It may seem unfair to you, but you should not label it in such a way when you are discussing it with a teacher. Regardless of how strong your arguments are, there is a very little chance that your grade for the particular test will be changed. Remember that there is a correlation between your distance from the teacher and your grades. In addition, you should always show that you are paying attention to what the professor is saying.